Catch Afghanistan Team Squad for Cricket World Cup 2019. 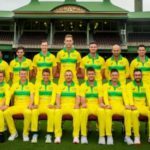 ICC World Cup 2019 Afghanistan Team Player List. Afghanistan probable team for World Cup 2019. 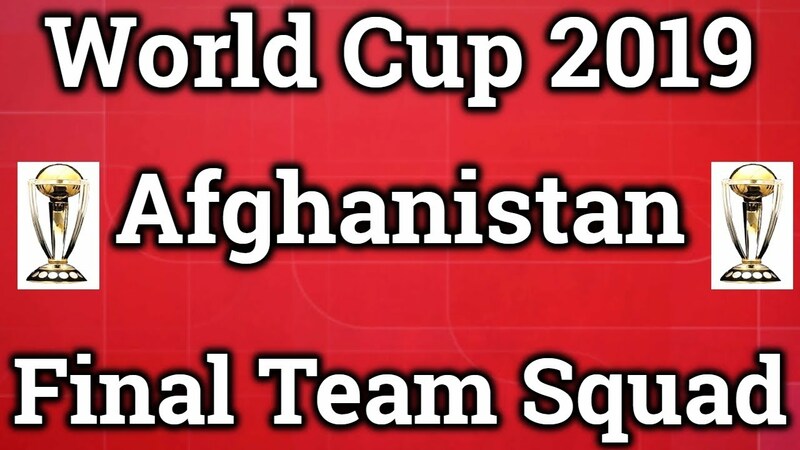 Get complete details of Afghanistan Official Team Squad for ICC Cricket World Cup 2019. 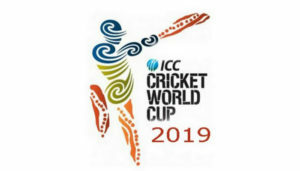 The most awaiting cricket tournament ICC Cricket World Cup 2019 is just few moments away from its official inauguration as this mega cricket tournament is scheduled to be started from 30th May 2019 and ran until 14th July 2019 at 11 different playing venues of England & Wales. 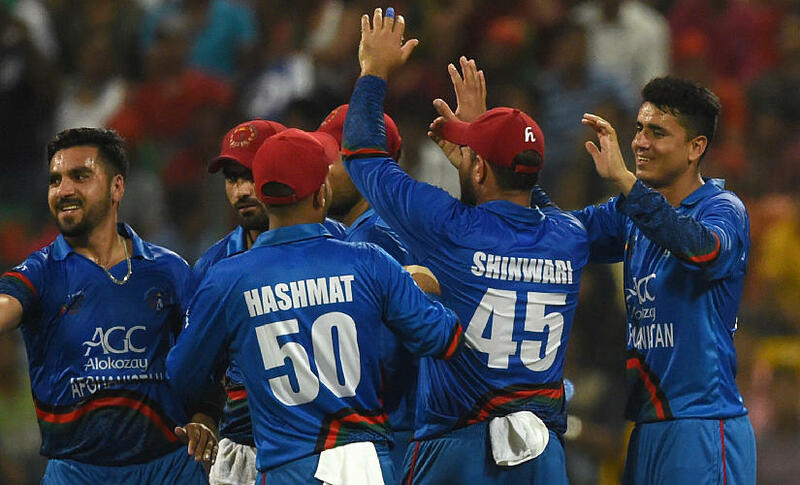 Afghanistan is the 5th Asian cricket team that will appear in the main rounds of ICC Cricket World Cup 2019 as this side has ended up on top place in Cricket World Cup Qualifiers Round and succeed to confirm their berth in this cricket event. 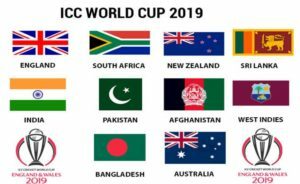 Afghanistan is going to make their 2nd appear in ICC Cricket World Cup as this team 1st appeared in World Cup 2015 and eliminated from Group Stage Rounds. Afghanistan although not considered as hot contender to claim ICC Cricket World Cup 2019 Trophy but still this side holds enough potential to put down any of the emerging side of this tournament. To be very honest Afghanistan is the only cricket team that has developed and recognized themselves on International Cricket grounds. 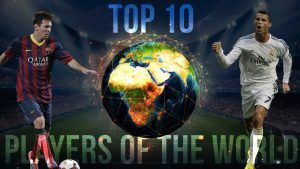 In recent ICC Champions Trophy, Afghanistan won the hearts of all cricket lovers on the behalf of their extra ordinary performances against top notch cricketing sides. The Selection Committee of Afghanistan Cricket Team has still not announced their final playing squad for ICC Cricket World Cup 2019 but their expected team squad for this event might include mixture of young and experienced players. 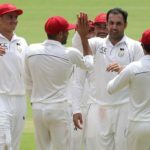 Let’s take in-depth look at probable Afghanistan Team Squad for World Cup 2019. The whole Afghanistan cricket team has contributed to achieve cricket legacy for Afghan cricket team fans. Still some of the players of Afghanistan cricket team will play vital role in their team’s upcoming success like Mohammad Nabi, Najib Zadran, Darwish Rasooli, Mujeeb ur Rahman, Shafiqullah Shafaq , Dawlat Zadran and Rashid Khan are key players for this team in World Cup 2019. Well Afghanistan has recruit their most experimented players in World Cup 2019 squad but still the successful ratio of Afghanistan in this event will highly relay on their main stream batting players. Currently Muhammad Shazad, Noor Ali Zardan and Hazratullah Zazia are considered as key batting players for them in World Cup 2019. 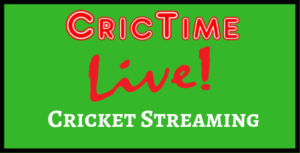 Afghanistan cricket team bowling attack totally depends on their spin bowlers but the playing conditions at England are more preferable for pace bowlers. So Afghanistan should pick their best pace attack to survive in those conditions. 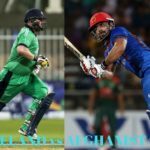 Afghanistan holds wide options in all three departments of cricket as they have quality batting players along with world’s best bowling attack. 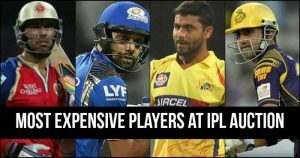 In spotlight Afghanistan main stream batting line-up includes Muhammad Shahzad, Hazratullah Zazia, Noor Ali Zardran and Javed Ahmadi whereas Rahim Shah is another best option for them to strengthen their middle order batting line. 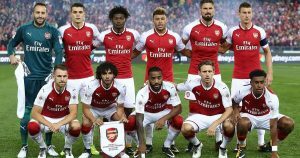 Afghanistan spin bowling attack is way better than their pace bowling pool but they have to select their best pace bowlers to ensure their competency on English grounds. 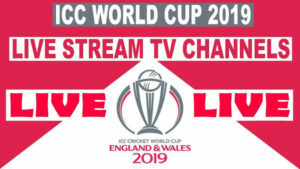 Their main pace bowlers include Dawlat Zadran, Aftab Alam and Naib whereas Shapoor Zadran, Hamid Hasan and Karim Janat are other reserve options for them during ICC Cricket World Cup 2019. 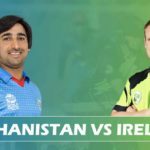 When it comes to spin bowling attack, Afghanistan cricket team is un-matchable on international level as this team has recruit some best spin wizards in their team. 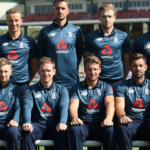 The highlighting spin bowlers of this team include Muhammad Nabi, Rashid Khan and Mujeeb-ur-Rahman.